Take on hordes of the undead in Dead Living Zombies, the third DLC expansion for Far Cry® 5. Team up with a friend in multiple hilarious B movie scenarios. Also available in the Far Cry 5 Gold Edition and Season Pass. 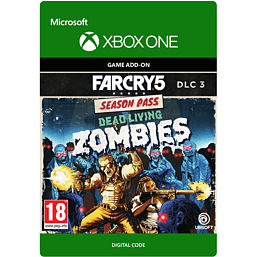 Please Note: Far Cry 5 base game is required to play Dead Living Zombies DLC.